Teaching words as a whole rather than through a phonics-based approach. Emphasis on “visual recognition of words” and visually representing those words with pictures. Uses the process of “match, select and name” to teach students new words. Focuses on an individualised vocabulary and moves onto a broader school based vocabulary. Moves from teaching single words to building simple sentences and then reading short individualised books. Many children with ASD will find it easier and more efficient to learn to read by first recognising whole words, and then working backward from the whole word to the sounds contained in words. For many of our students, learning the letters and their sounds is initially too abstract. Program that uses Direct Instruction to teach early literacy skills, this program uses a Frog Puppet called ‘Moe’ who is the main character in the reading materials and supports student engagement in activities. 14 objectives covered over course of program including reading sight words, pointing to text as it is read, responding to literal questions about a story, demonstrating syllable segmentation, identifying letter-sound correspondence, identifying pictures that begin/end with given sounds. Structured story sharing time which includes pre-reading activities as well as a number of text awareness, prediction, text pointing and comprehension activities throughout the session. Structured and Systematic Phonics and Sight Word Instruction using iPad App, Flashcards, Reading Books & Writing Books. NSA also includes hands on materials and activities to support generalisation of skills. 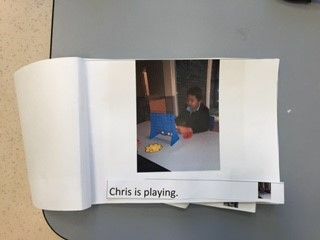 Lessons follow an eight-step activity sequence, which includes identifying, blending, and segmenting sounds; decoding words; reading sight words and connected text; and answering comprehension questions. Students use a writing journal to reflect on what they learned in the level. The Four Blocks Framework represents four different approaches to teaching children to read, providing students with a range of learning experiences to support various learning preferences and profiles. The framework can also cater for a wide variety of literacy levels across the classroom. Guided Reading – Supporting students to develop the skills and understandings necessary to be strategic in reading and comprehending a wide variety of texts. Self-Selected Reading – Supporting students to develop the skills to select reading materials that they find interesting and provide opportunities for teachers to conference individually with children about the books they are reading. In this block teachers also model reading aloud to children. Writing – Supporting students to develop the skills to independently write through modelled and independent writing experiences. Working with Words – Systematically teaching high frequency words needed for fluent, successful reading with comprehension. Teaching the skills required to decode and spell words for reading and writing. At NSA all teaching teams implement structured teaching. 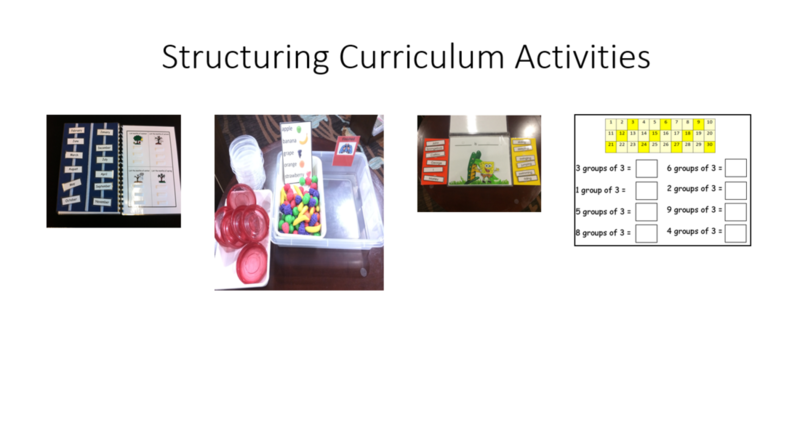 Structured Teaching is an intervention approach developed by TEACCH (Treatment and Education of Autistic and related Communication handicapped Children) from the University of North Carolina. It is a teaching framework with 40 years of research behind it and is based on teaching to the “Culture of Autism”. Research has shown that students/children with ASD have a different psycho-educational profile. Northern School for Autism (NSA) strives to be a centre of excellence. Students are supported towards developing their personal and educational potential so as to be valued contributors to family and community life. In line with the school’s pedagogical philosophy, the leadership team have developed Teaching and Learning Protocols to promote a consistent educational approach across NSA. Talk to me in a respectful and calm manner. 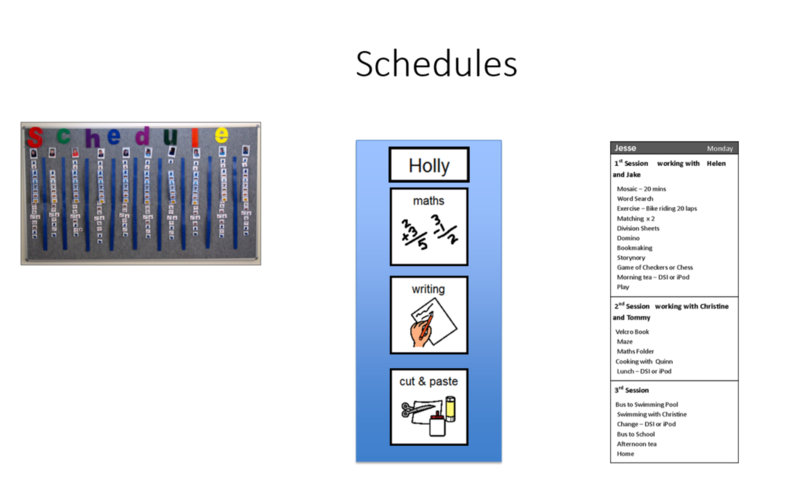 Plan activities and tasks to accommodate my visual learning style. Know what toys or activities motivate me. Set clear boundaries so that I know how to work and play with other children in a friendly way. Do not speak about me to others in front of me. Tell me what I need to do, not what not to do. With clear expectations for me to follow. That has a defined start and finish to activities. So that my toys and activities and materials are presented in a way that I am able to organise and manage them. With clearly defined working areas. With limited distractions including, visual, auditory and movement. Without messy clutter around the room. Ensures my communication system is always accessible to me and that I use it regularly throughout the day and you extend my ability. Allows time for me to process your verbal and visual instructions. Meets my individual needs (cognitive, sensory and communicative) and increases my skills. Ensures my learning activities are at my developmental level. Builds in the recommendations of leading teachers, the occupational therapist and speech therapist. Builds my independence to allow me to manage myself as an individual, and, in relation to others. School Wide Positive Behaviour Support (SWPBS) is a framework that offers a three-tiered intervention approach to supporting all students and their behaviour. SWPBS involves the establishment of a continuum of behaviour support that considers all students and emphasises prevention and intervention. It is a proactive approach that focuses on teaching all students the school expected behaviours. SWPBS predicts problems that students may have at school and uses a collaborative and consistent approach to prevent the problem. SWPBS assists us to build safe, caring and respectful schools. It focuses on identifying and rewarding positive behaviour as a means to discourage negative behaviour.